I am Kay Newsome Cox, a home girl, so to speak. I was born and received my formative training here in Wayne County. Currently, I reside in Pikeville which is several miles north of Goldsboro. I am from a family of nine. My mother is 85 and I have eight sisters a two brothers. I am a mother of fraternal twins, Stephen and Brandon; and my daughter Lela. My young men are 31 and daughter is 29. Whew! I am a retired educator with twenty-seven plus year’s classroom experience. My last position before starting at Dillard Academy was Exceptional Teacher English Literature for grades 9-12 and School Based Chair Person at Charles B. Aycock High School in Pikeville N.C. I have also taught at Barnes School (Caswell Center), Kinston, N.C.; Howell’s Child Care Center, Bear Creek, La Grange, N.C.; Edgewood Developmental School, Goldsboro, N.C. and Mount Olive Middle School, Mt. Olive, N.C. In addition to these positions, I taught full time at Wayne Middle High Academy, Wayne County Public Schools. During an interim period before working here at Dillard Academy, I completed daily summaries for veteran cemetery contracts for a local company. I graduated from East Carolina University in Greenville N.C. with a B.S. in Special Education (Mental Retardation) Grades K-12 in 1980. I completed teacher licensure and behavior modification classes at Caswell Center. I completed the state teacher performance-based licensure training to evaluate first and second year teacher. I was also a peer coach at the high school level. I graduated from N.C. Wesleyan College Rocky Mount N.C. with a B.A. in Criminal Justice and Religion. I was initially introduced to the Dillard family as an afterschool tutor with the Castles program. 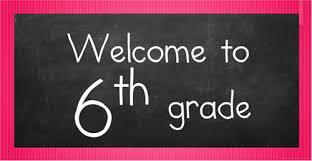 My past teaching responsibility was 6th grade teacher here at “Tiger Pride” for the 2015-2016 school year. The most influential force that has enabled me to keep a passion for educating our youth is having the rewarding experience of being a mother. Education and family in my opinion go hand in hand. One should be able to demonstrate the ideals of compassion and patience to children on a continuum, which will hopefully nurture their successes for the future. I will continue to embrace the philosophy of this school, to the best of my ability, and treat all children and my peers with respect. I am a mother of 5 adult children and I have 4 grandchildren and 1 on the way. I graduated from WCC in 2009 with an Associates Degree in Applied Science, I'm currently working on my Bachelors in Business Administration at Strayer University. I have been working in the educational field for over 20 years.